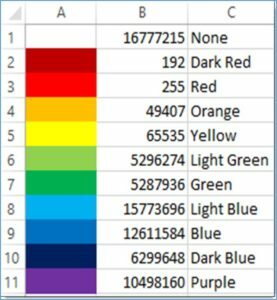 This post details how to setup a simple function in Excel, using VBA to find the background color of a given cell. 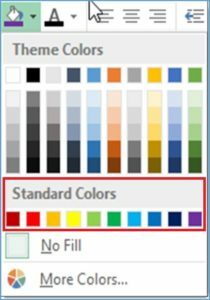 The result will display the text description of the background color. This allows further utilization in formulas, which was the use case for creating this function. This post uses Excel 2013 in Windows 10. 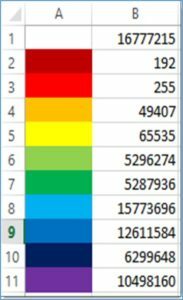 In Excel, I simply added the 10 standard background colors in column A, starting with no background in cell A1. There you have it! Please modify to suit your needs.